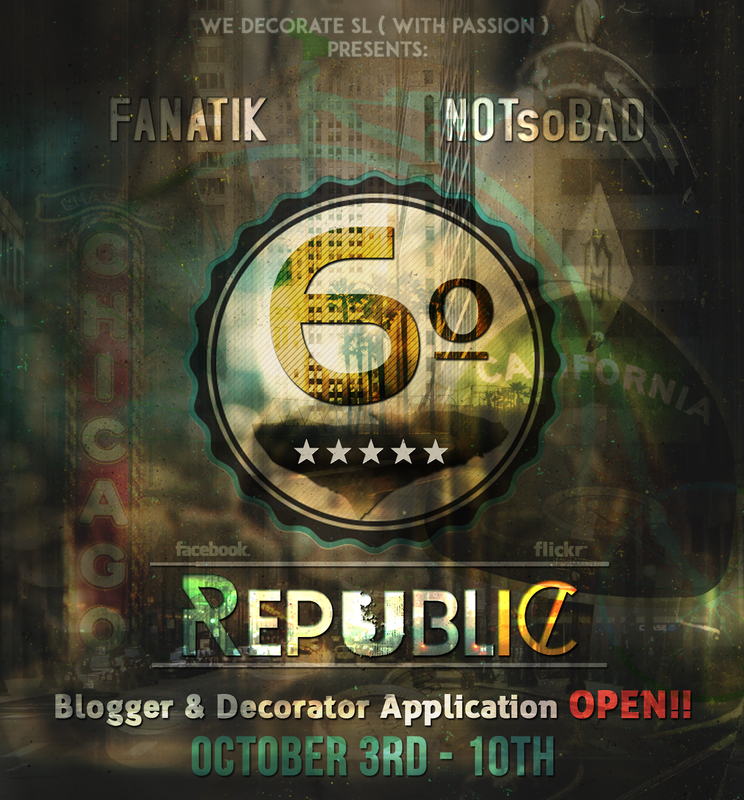 6º Republic Event: Blogger & Decorator Application OPEN!! Starting today bloggers / decorators applications are officially open! We are looking for passionate and creative bloggers / decorators interested in joining our Press Team and committed to providing the best coverage possible for this event. Only one app per person will be accepted. Any questions please send a NC inworld only to 6Republic Resident.